Overall not too much going on in the character world this week, but there were a few interesting points to note. Over in California, Buena Vista Street got it's previews, and some of the brand new Citizens of Buena Vista Street were out greeting for the first time, as well as Mickey and Friends in their brand new 1920's style Hollywood outfits! I don't have any pictures to post here (all from my contacts, sadly), but if you find any, hit the Discuss button below and reply on our Forum! We'll also be there at the end of July for ourselves, and will meet them all, of course! We're really excited to be able to go to DCA so soon after the new things open! We have been busy as always here at Character Central, but here's this weeks roundup of all the latest character news. There has been lots of PIXAR news this week. 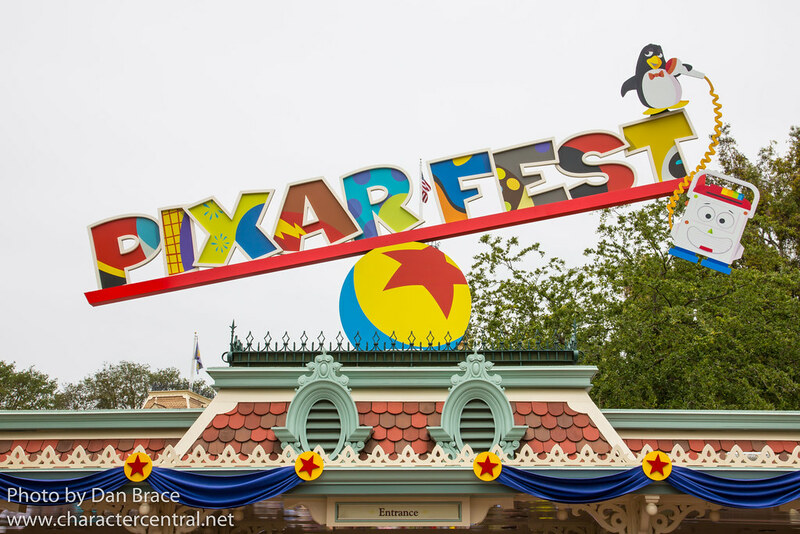 We start with the news that the West Coast Cruises this Fall will feature a lot of favourite PIXAR Pals. There will be special meet and greets and events on board. The picture posted by the Parks Blog shows fairly standard characters, and I doubt very much any real neat ones will show up. What do you all think of this? Have you already booked a DCL Cruise for these dates? Would you have liked to have known it was going to be PIXAR centric? Staying with PIXAR, some new PIXAR stamps were launched in the US this week, and the PIXAR pals were at the brand new Art of Animation Resort in WDW for a special launch event. That leads me to talk about the new Art of Animation Resort... It opened this week with a character filled ceremony and a speech by the fan love her/hate her head of Parks and Resorts, Meg Crofton. Characters in attendance included Mickey, Minnie, Donald, Daisy, Pluto, Timon, Ariel, Eric, and Chip 'n' Dale - and the Fab 5 friends were the talking head versions! Also there were puppeteers commanding Sebastian and Flounder alongside Ariel and Eric. Continuing the PIXAR theme, and Downtown Disney in WDW has been hosting the Car Masters Weekend, and of course Disney took the opportunity to have some very famous stars there... Mater, McQueen and Finn McMissile! Although Mater and McQueen already meet in the Parks, Finn is a cool addition for those visiting this weekend. Over in California, the PXAR Play Parade made it's return in "soft opening" mode, and will return officially on June 15th - DCA's official re-launch date. The only float we can see that is missing currently is the Remy and Emile one, and that's probably due to the rats bouncing wires being too tall for the new overhead lines along Buena Vista Street. Staying with DCA, and the Disney Parks Blog announced a few new cool things there. I thought I had mentioned these previously, but obviously completely forgot! So these are a bit late, I apologise lol. When the new Buena Vista Street opens, some of the Fab 5 friends will get some fantastic new outfits to meet fans in the new land. We just LOVE Chip and Dale's outfits! Also, as expected, but now confirmed, Mater and McQueen will be meeting Guests in Cars Land daily. On top of all that, and I think maybe inspired by DLP's daily fountain shows that utilise the new Dreams technology, Goofy will be making appearances in his tux throughout the day at Paradise Bay, conducting the World Of Color fountains to music! Finally for DCA (! 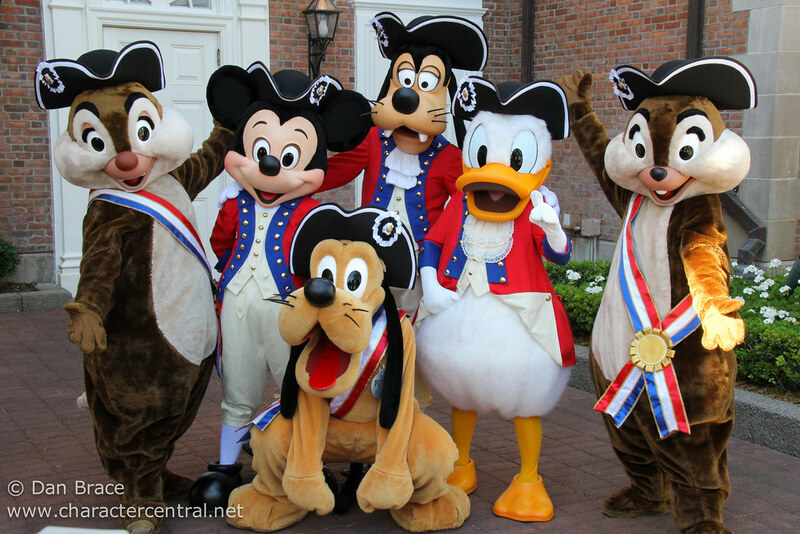 ), the Parks Blog also said that a character dance party will take place daily though the summer in Hollywood Land, and "you never know who might show up!"... We'll see whether that ends up being regular pals, or some more random ones (we of course hope the latter!). We look forward to seeing all these new things this year! Two last things, which aren't PIXAR related! Rapunzel and Flynn have apparently been added to the day Parade in the Magic Kingdom, on the finale Castle float, which makes for a nice addition. As we all know, they are immensely popular, and so adding them makes sense - especially in the MK's ailing parade. Finally, it has been announced (and confirmed by various sources) that place-making will begin at the Walt Disney Studios in Paris, alongside the new Ratatouille ride (scheduled to open 2014), and will continue through 2018! I know this isn't character related, but it is a much welcomed announcement, and we can only hope that it will be along similar lines to the new DCA, and in turn will mean new character shows, greetings and entertainment! Ok, that's all for now! Let us know your thoughts by hitting the Discuss button below and commenting on the forum!